A more detailed view of Tommy Brook’s Farm with the edge of Longlands House on the left and the red brick cottages on the right, which were occupied by the Chapman family. Like the Farm these cottages were also part of the Longlands House estate, part of which had been bought by Colin Rowland Crook, a Wakefield brickworks owner and car enthusiast, in the late 1920s. The access road led from the Wakefield Road between the house and the cottages into the farm complex. Tommy Brook’s house, on the left, was attached to Longlands House and may once have been the coachman’s house. 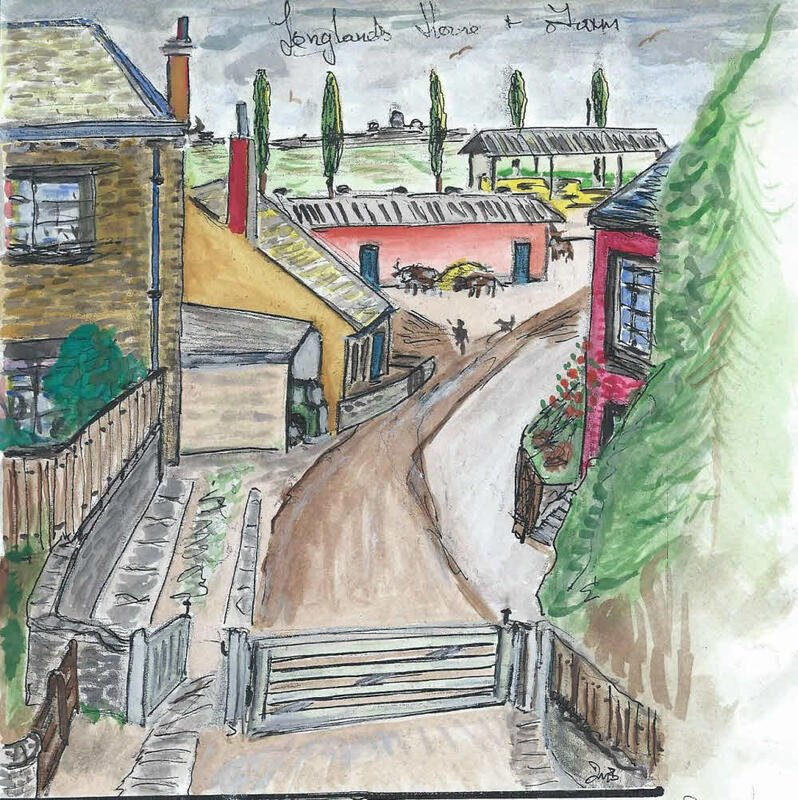 In the sketch on the left is a garage that housed some of Mr Crook’s motor cars. 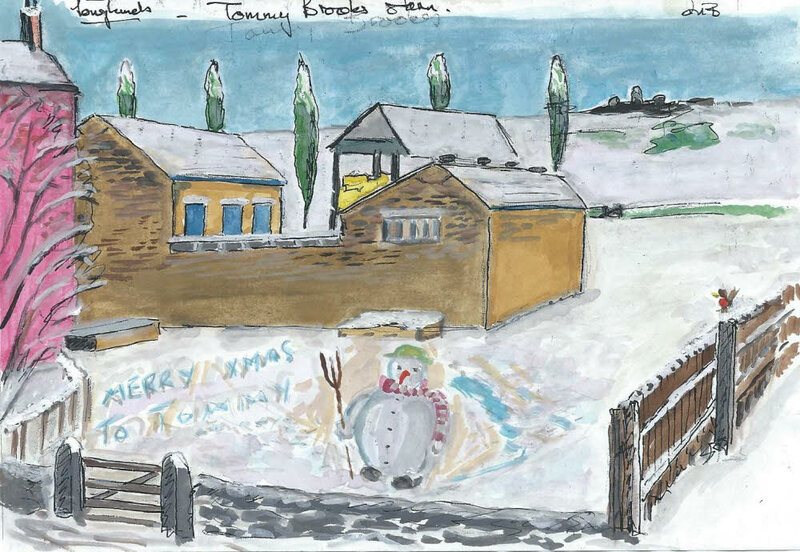 Another sketch view of Tommy Brook’s Farm with the rear of the red brick cottages shown on the left and the mistals and barn in the centre behind the seasonal snowman. Click on the following link where more can be seen of the history of Longlands House and the Farm.